If your home has cold, drafty spots, this is the time of year you’ll notice them. Rather than cranking up the heat in the whole house to compensate, however, sometimes it’s more efficient to use an electric space heater where and when you need it, as long as you keep safety in mind. Research units before buying a space heater, and look for the most efficient, UL-rated model you can afford. Some newer convection models cost only four cents an hour to run and can heat a whole room, though you should only use them as supplemental heat. 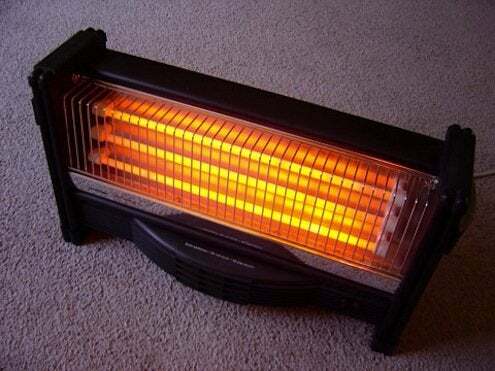 Position your space heater on a level surface at least three feet away from anything combustible. Avoid using extension cords, and unless it’s rated for use in wet areas, a space heater shouldn’t be used outside or in the bathroom. Inspect wires for fraying or damage, and never use one with a damaged cord. Check the outlet periodically: If it heats up, stop using it immediately and call an electrician, as this could be a wiring problem and a fire hazard.